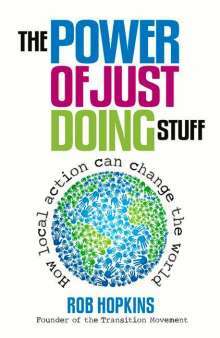 Der Artikel Rob Hopkins: Power of Just Doing Stuff wurde in den Warenkorb gelegt. Ihr Warenkorb enthält nun 1 Artikel im Wert von EUR 11,47. Something is stirring. People around the world are deciding that the well-being of their community and its economy lies with them. They're people like you. They've had enough, and, rather than waiting for permission, they're rolling up their sleeves, getting together with friends and neighbors, and doing something about it.